The sofas and chairs in the Henson Collection are a designer’s dream. The collection includes a reclining sofa with drop-down-table, a rocking and reclining loveseat, a rocker recliner, and a wall-proximity recliner. The 100% polyester material created to give the look and hand of leather, adds an elegant finishing touch. The 364HINSON Rocking Reclining Loveseat by Franklin at Furniture Fair - North Carolina in the Jacksonville, Greenville, Goldsboro, New Bern, Rocky Mount, Wilmington NC area. Product availability may vary. Contact us for the most current availability on this product. The sofas and chairs in the Henson Collection are a designer’s dream. 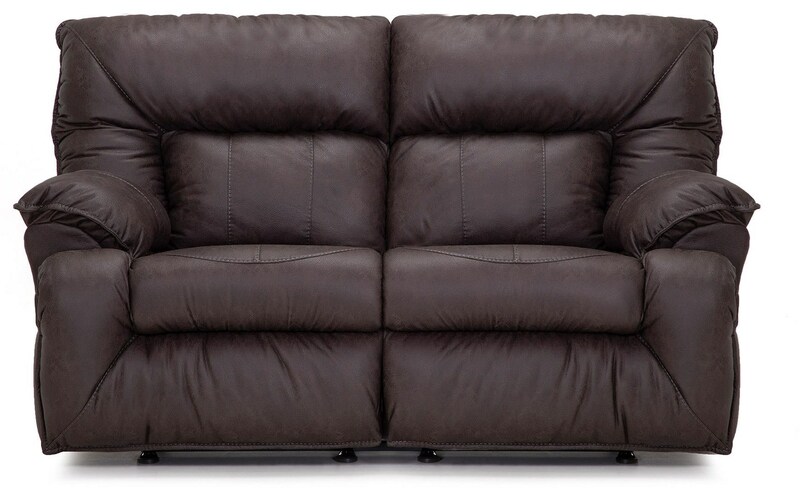 The collection includes a reclining sofa with drop-down-table, a rocking and reclining loveseat, and a rocker recliner. The 100% polyester material created to give the look and hand of leather, adds an elegant finishing touch. The 364HINSON collection is a great option if you are looking for Casual furniture in the Jacksonville, Greenville, Goldsboro, New Bern, Rocky Mount, Wilmington NC area. Browse other items in the 364HINSON collection from Furniture Fair - North Carolina in the Jacksonville, Greenville, Goldsboro, New Bern, Rocky Mount, Wilmington NC area.